From the moment you step into Sticky Fingers Cake Co HQ for your consultation, you’ll be treated to the whole “Sticky Fingers Experience”! I treat each and every couple ordering their wedding cake as if they were the only one I have on my books; not only will you be able to sample four or five of your chosen flavours, and take a doggy bag homewith you!, but I’ll come up with two or three (or even four in some instances!) 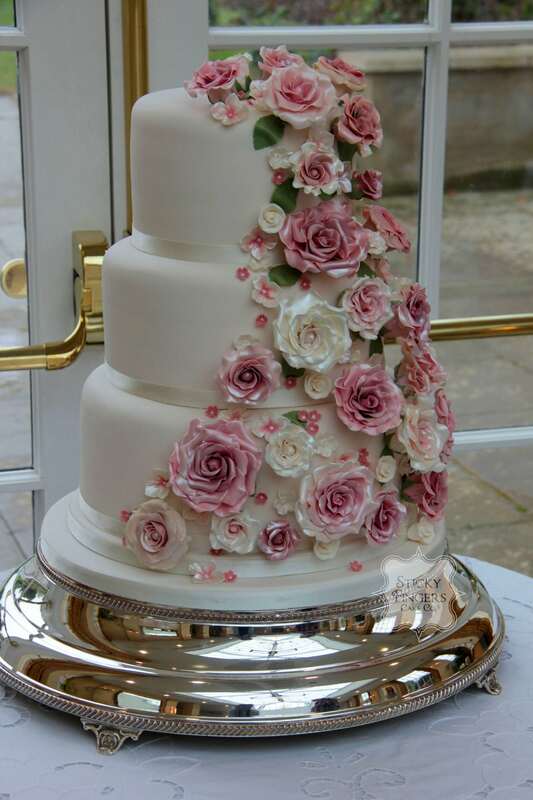 wedding cake designs for you to mull over, tweaking them here and there until you have your perfect cake. All this is included in the price and I think there’s nothing quite like a wonderful personal service to make each and every couple getting married feel extra special.